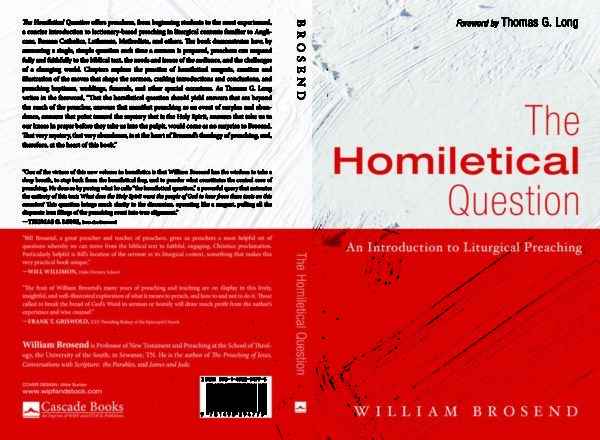 The Homiletical Question offers preachers, from beginning students to the most experienced, a concise introduction to lectionary-based preaching in liturgical contexts familiar to Anglicans, Roman Catholics, Lutherans, Methodists, and others. The book demonstrates how, by answering a single, simple question each time a sermon is prepared, preachers can respond fully and faithfully to the biblical text, the needs and issues of the audience, and the challenges of a changing world. Foreword by Thomas G. Long.